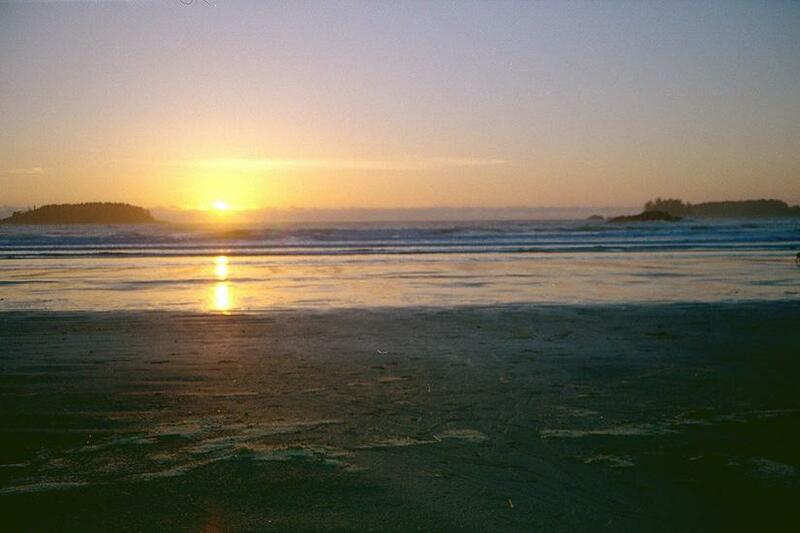 Between Clayoquot and Barkley sounds, Long Beach occupies an L-shaped peninsula almost separated from Vancouver Island by Tofino Inlet and Kennedy Lake. 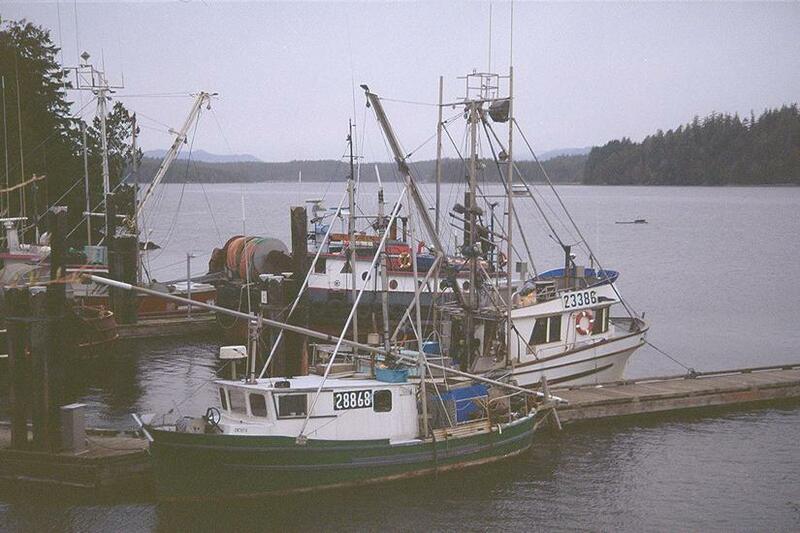 Thirty years ago this was remote country, but most of the peninsula was soon designated part of the Pacific Rim National Park, and highway improvements subsequently brought Long Beach within a two-hour drive of Port Alberni. 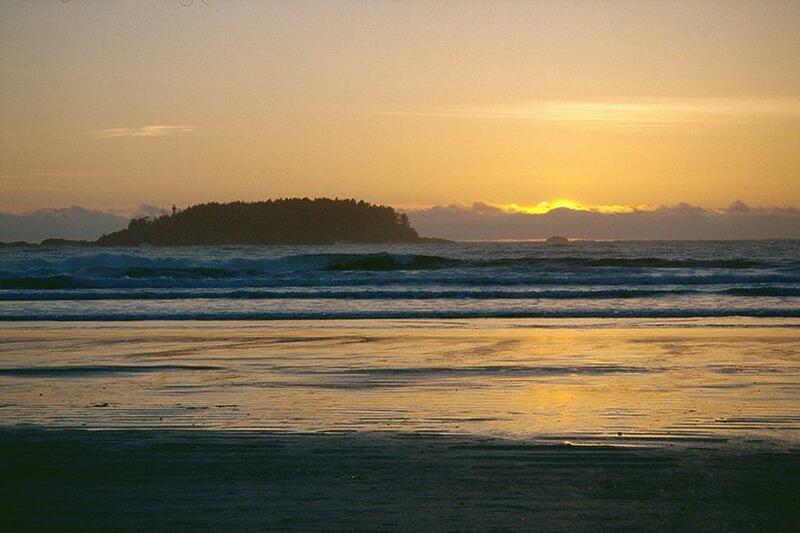 The Pacific Rim National Park occupies most of the peninsula but not the northern or southern tips. 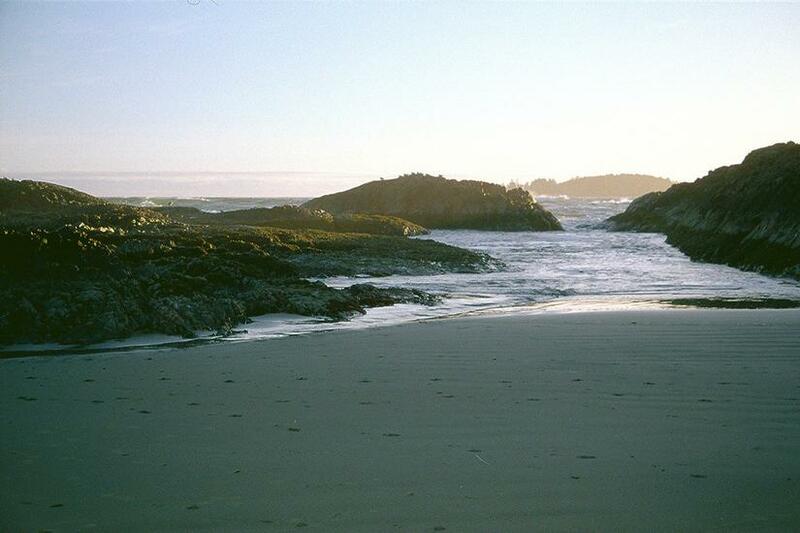 The southern tip is occupied by the fishing village of Ucluelet, sheltered from the sea by Ucluelet Inlet, seen here in a view looking north. Not a mile from the preceding picture, the west coast of the island is profoundly rocky and stormy. 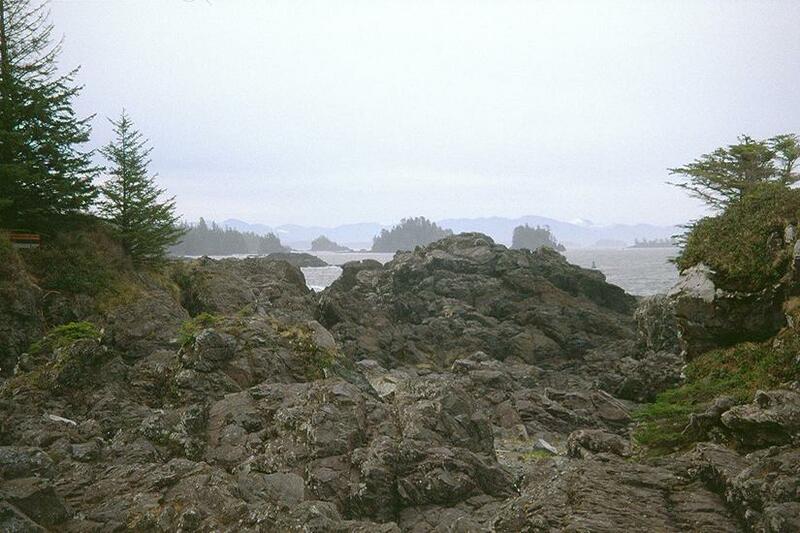 Amphitrite Point Lighthouse stands just to the right of these battered rocks; in the background are some of the islands in Barkley Sound. 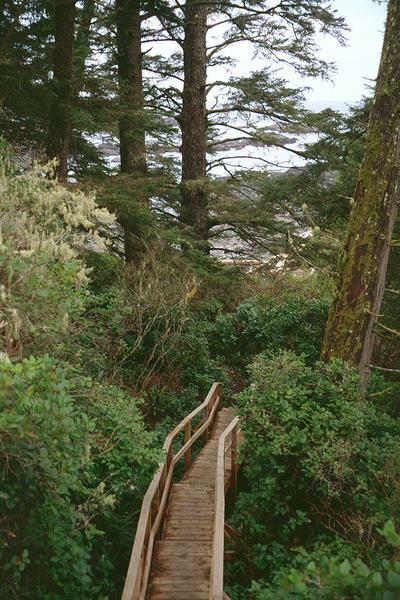 Both Ucluelet and Tofino have walkways such as this that lead through heavy forest to small, secluded beaches. 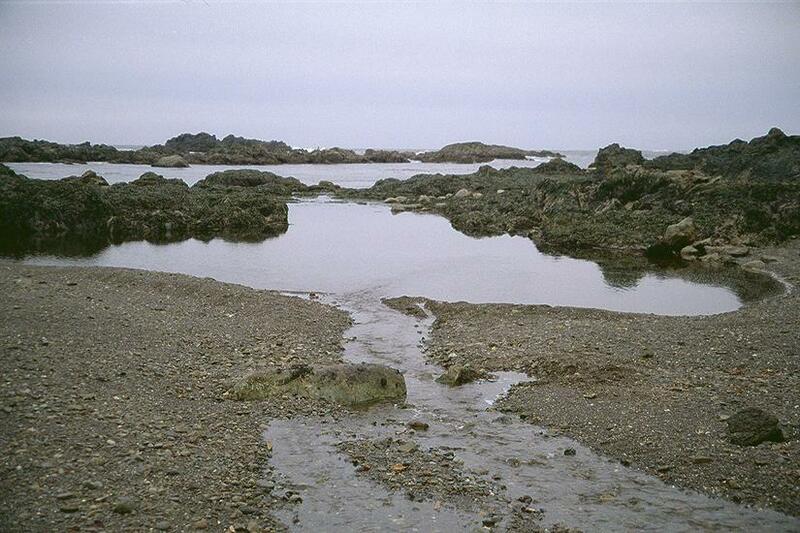 This one is in Ucluelet and looks west to the sea just north of Amphitrite Point. 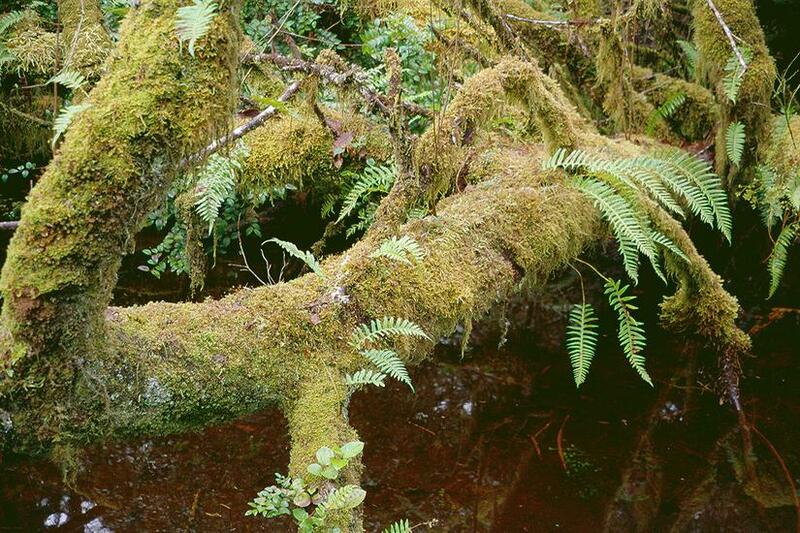 It's wet enough for a thick wool of moss to cover downed logs. Drainage from one of the countless streams that flow to the sea, here at the beach to which the walkway leads. 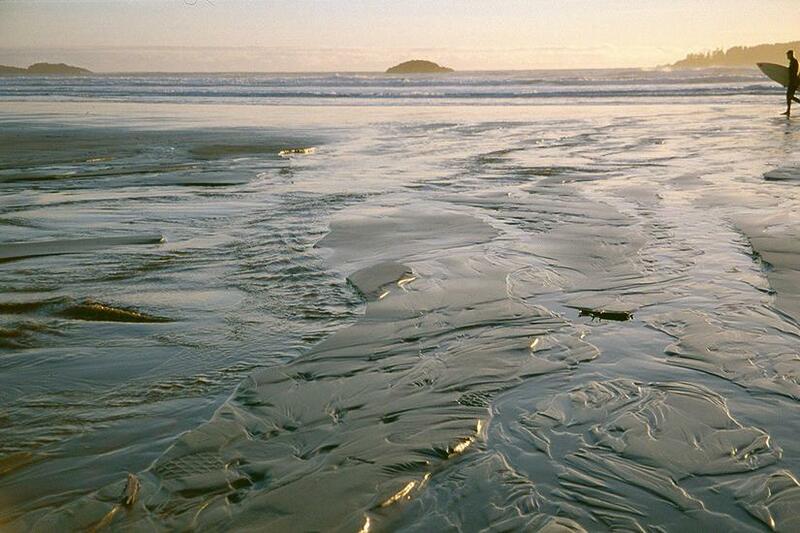 Greenpoint, at the north end of Combers Beach, is within the national park section of the peninsula. This was a spring day, and surprisingly clear and mild. 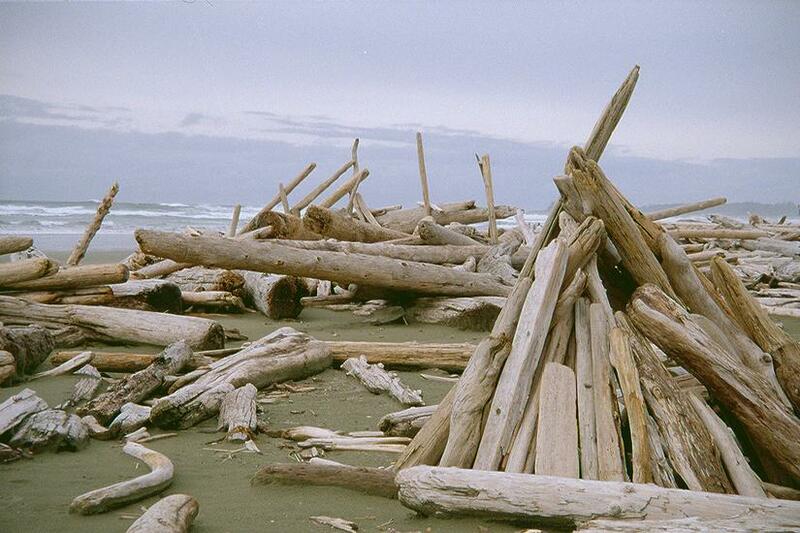 The driftwood provides endless inspiration for the building of shelters on blustery days. A hydraulic laboratory at Chesterman Beach, which lies north of the Long Beach Unit of the national park. One minute to splash-down on Chesterton Beach. The sea beyond the surf will soon turn in the darkness to a breathing, pulsating creature, rising and falling with the passing of each wave.